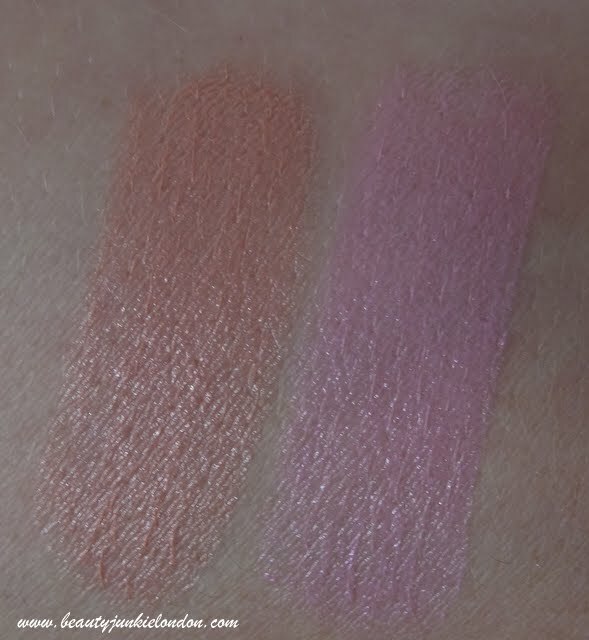 Despite having a bit of a magpie-like lust for shiny things, I’ve managed to resist the lure of the YSL Rouge Volupte lippies so far, persuading myself that they are just like any other lipstick really. But now I’ve had the chance to try them I think I’m going to struggle to resist buying more. Partly because the texture of these really is creamy smooth and lovely and also because the packaging really is absolutely gorgeous. You can’t help feeling special when putting these on. The two colours I have been playing with are ‘108’ (the lilac) and ‘107’ (the peach). I really like the colours as they look, the peach ‘107’ shade is definitely my favourite and more flattering on my skintone than the lilac. I now want to find a rosey, ‘healthy’ pink shade to add to my collection. If you have shade suggestions, please comment below to let me know! What do you think of these colours? Tempted or turned off? I should mention, these are both part of the A/W YSL collection that’s in stores now. 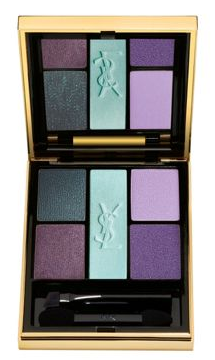 There’s also a gorgeous eyeshadow palette that’s a combination of purple and turquoise, my two favourite colours. I love the mix of the darker, rich shades and the pale pastel shades. This baby costs £40… which just happens to be close to the amount I have on my Boots Advantage Card at present…tempting! YSL definitely has the wow factor for me, you can’t beat the bling of the gold packaging! What are your favourites from YSL?? I always love soft colors on the lips. I am therefore tempted. i dont like YSL shadows. even when i use base it disappears very quickly. but i adore touche blushes and mango lipbalm. 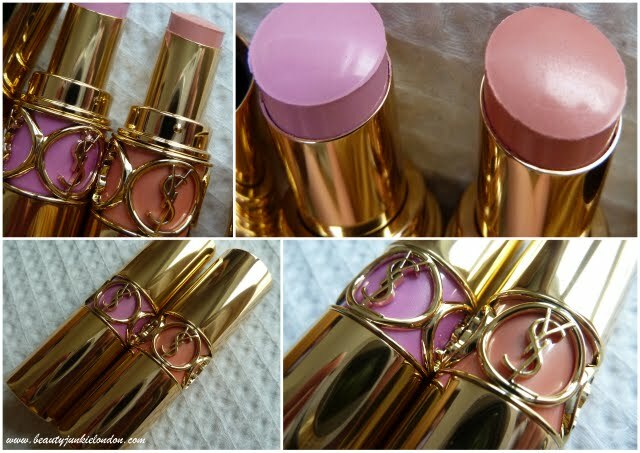 Big YSL fan here, too, especially of the Rouge volupte lippies. They’re quite easy to break though so watch out for that. Great guest on Skinni Peach yesterday by the way, which is where I found you! Yes, most definitely tempted here. I swear by their Matte & Radiant pressed powder, it is so finely milled and you only need a tiny amount. The peachy lippie is gorgeous.